Every year, bears are killed by conservation officers due to careless residents leaving their garbage out - particularly in the upper Coast Meridian area. Living in an identified bear activity area means that there are garbage restrictions. You cannot put out your garbage the night before – you must wait until no earlier than 5:30am and no later than 7:30am on the day of collection. Green waste is collected every week, and you should use it to dispose of your food scraps and organic waste such as grass clippings and leaves. Feeding bears, even unintentionally, is against the law in BC. More than 1,000 bears are killed every year in British Columbia because of bear-human conflicts. 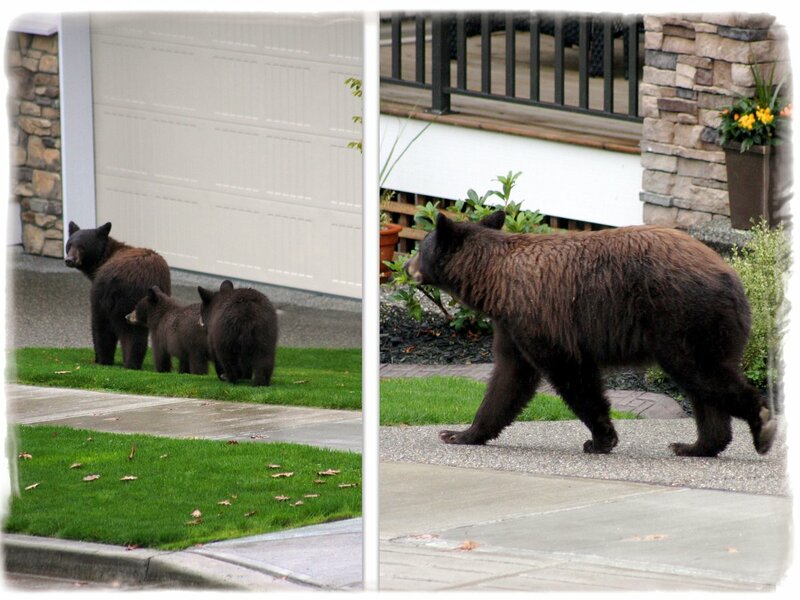 Almost all of these bears were attracted into neighbourhoods by improperly stored garbage and other attractants. Exposure to humans causes bears to lose their natural fear of people. When this happens, bears become a potential threat. What to do if you see a bear in your neighbourhood. Remain calm. Often, the bear is just passing through and, if it finds no food source, will simply move on. Keep away from the bear. Warn others to keep away as well, and bring your children and pets into the house. If the bear appears to be threatening human safety, pets or livestock; or destroying property, call police, or the Conservation Officer at: 1.877.952.7277. The Conservation officer is a professional and has been trained to deal with wildlife. If you encounter a bear at close range, make yourself look big, group together, speak calmly, and back away slowly preferably in the direction you came from. Don't run. For more information or to report improperly stored garbage or other attractants call Bear Aware staff at 604.927.6317.